The area’s four subway lines—3, 5, B and C—and the Nostrand Avenue Station of the Long Island Railroad lead to Manhattan and other points in Brooklyn; locals are never without choices to commute or visit elsewhere in New York City. Crown Heights also boasts one of the city’s most happening Labor Day events with a West Indian carnival and parade drawing millions of visitors every year. 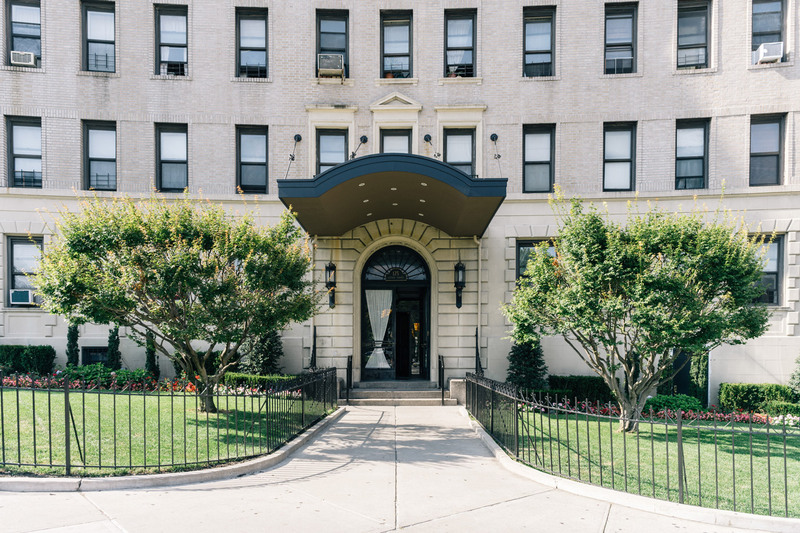 Crown Heights real estate options are varied; stately townhouses, multi-family homes and luxury condos give future residents an impressive selection of properties for any style or budget. 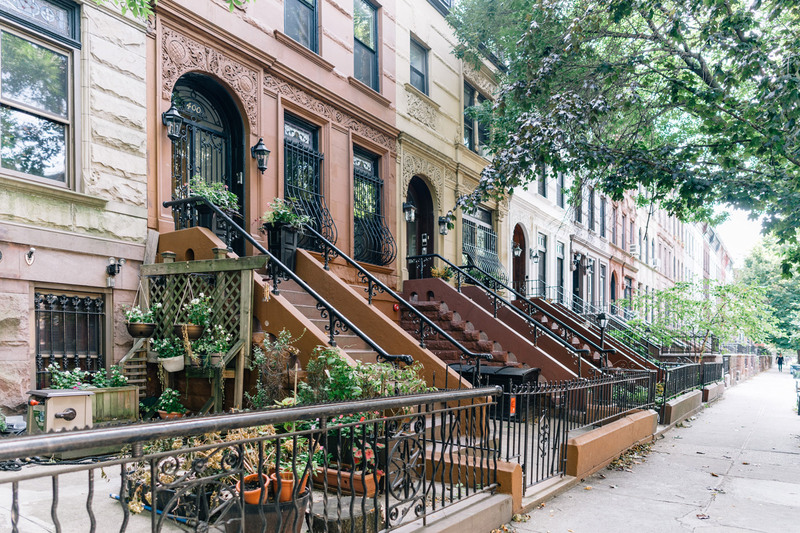 The Crown Heights North Historic District, which contains most of the neighborhood’s townhouses, features streets lined with row houses built around the turn of the 20th century, complete with ornate decor and stained glass windows. Newer luxury-style condo complexes offer perks like stainless steel appliances, private patios and exposed brick walls. Renaissance, Italian and Greek Revival-style homes round out Crown Heights real estate choices and feature upgraded utilities, spacious backyards and generous floor plans. The history of Crown Heights owes much to its early appeal as an escape from nearby Manhattan; wealthy New Yorkers began to build residences along the neighborhood’s tree-lined streets in the early 1900s. Considered one of New York City’s prime locales by mid-century, Crown Heights continued to surge in population, prompting the development of urban parks and community centers. Mid-20th century in Crown Heights welcomed a significant number of Jewish residents, giving the community a distinct number of synagogues and greatly influencing local cultural institutions and restaurants. 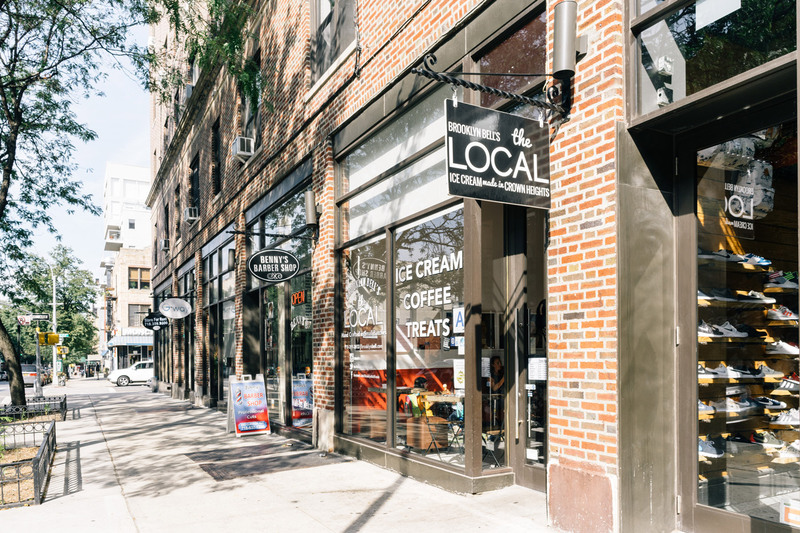 Today, Crown Heights retains four distinct historic districts from its storied past as an upscale bourgeois neighborhood, as well as drawing a diverse mix of new residents. Izzy’s Brooklyn Smokehouse might stake its biggest claim to serving Kosher barbecue, but the savory smoked brisket, pulled beef ribs and Southern-style sides draw plenty of locals without dietary restrictions, too. The simple brick-walled interior is cozy and unassuming, with tables squeezed in tight to allow neighbors to socialize. For vintage-inspired ambiance, trend-setting cuisine and custom cocktails, you’ll want to dine at Mayfield. Unique dishes, served on wooden tables under glowing candlelight, range from cornmeal-fried oysters to steak tartare. Online ordering and delivery services also make the restaurant a perfect choice for nights at home. Locals frequent Silver Rice for fresh sushi and Japanese-inspired cuisine in a casual environment. You can’t go wrong with made-to-order sushi rolls, customizable rice bowls or piping hot soups served in a modern setting with Asian decor. Their popular on-the-go sushi snacks called Silver Rice Cups come in flavors like tuna, spicy salmon and seasonal options for a quick bite during commutes. Brooklyn Children’s Museum lures in kids to its engaging and innovative exhibits. Daily interactive programs for the younger set focus on motor skills, while summer camps and free after-school programs cater to children of all ages. Public green space in Crown Heights is highlighted by Brower Park, giving residents access to meandering walking paths and sports facilities bordered by an ornamental wrought-iron fence conjuring up images of the neighborhood’s past. The park, which opened in 1894, also has dog-friendly areas and upgraded playgrounds with new equipment. If you’re looking for one-of-a-kind housewares, toys and trinkets, you’ll appreciate the Owl and Thistle General Store. Brooklyn-designed sustainable and fair trade goods sit alongside wares varying from international-inspired clothing and locally-made yoga mats to gift boxes tailor-made for a housewarming gift. The store also hosts weekly workshops for craft projects like wallet-making and sewing, bringing residents together for hands-on experiences. To upgrade your daily commute, visit Bicycle Roots, which sells a large selection of city, hybrid and folding bikes in the heart of Crown Heights. Many of the store’s bicycles are a great fit for public transportation, and it serves as a one-stop source for accessories like helmets, lights and locks. The store also hosts biking events and shares resources on commuting around the city. Butter and Scotch offers both day and night time pleasures; the bustling bakery and coffee shop turns into a bar during the evening and weekend brunch hours. Visit the establishment after 5pm on weekdays to sample its one-of-a-kind cocktails paired with scrumptious desserts, and sit on one of the bar’s diner-inspired stools topped in red vinyl upholstery. Locals frequent Berg’n for hard-to-find micro-brews. The beer hall’s industrial-chic decor, communal seating and expansive outdoor area sets the mood for a late night of mingling. It also serves food from various local restaurants, hosts weekly game nights and sells locally-sourced groceries. For a livelier nighttime scene, Friends and Lovers keeps the party going until well after midnight with live music and a rotating cast of DJs. Themed nights allow Crown Heights residents to play Star Wars-inspired bingo one night and hip-hop trivia the next before the lights dim and the party begins.